David will likely be the person who talks to you on the phone. In addition, he does the actual audio and video transfer work. Cathy administers our websites, manages our social media, writes our blog, performs many of our administrative tasks, handles our printing, and completes all our photographic and slide transfer work. 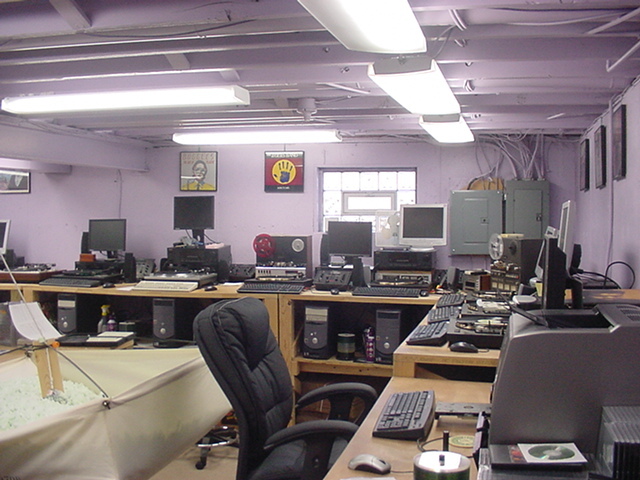 We are fortunate to have a studio in our home just north of Cincinnati, Ohio, fully equipped to perform audio, video, and photographic transfer work. All work is performed in this studio. We do not send any materials to outside sources for completion. You can rest assured we treat all your priceless recordings and photographic materials with utmost care. We will transfer all your audio recordings to digital CD. We stock and sell HUNDREDS of your favorite Christmas records which we have converted to CD. Looking for something you don't see here? Call us! Preserve family photos and slides by converting to digital. Call us to discuss your project. Read "Ohio Magazine" Article published in December 2007 when we were first getting started. Read "Akron Beacon Journal" Article published in November 2009.